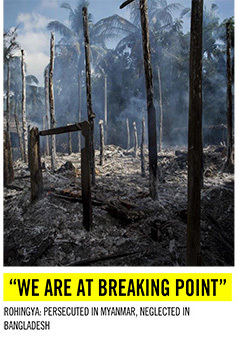 11:00 AM – The strident nationalism enabling Myanmar’s “evil” behaviour is not well understood. Just months after a vicious military crackdown sent over 700,000 Rohingya fleeing from Myanmar to neighbouring Bangladesh, the two countries have agreed on the eventual repatriation of the refugees, but not on a timeline or with details for what that process would look like. LYNN BO BO VIA GETTY IMAGES :MYANMAR MILTARY COMMANDOS STAND IN FORMATION DURING EXERCISES ON : FEB. 3, 2018. 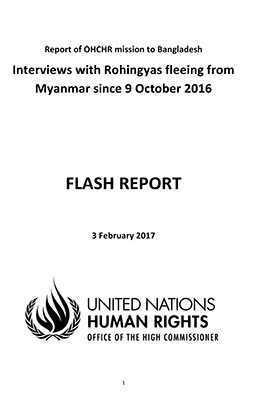 This month, a senior Bangladeshi official condemned the Myanmar government as “evil,” and asserted that the refugees could not be repatriated for the foreseeable future. Although the world has watched the Rohingya humanitarian crisis with rapt attention, the strident nationalism enabling Myanmar’s “evil” behaviour is not well understood. Contemporary Burmese national identity revolves around the majority Bamar population, leading to numerous armed ethnic conflicts and a general shortage of trust between the government and ethnic leadership. In addition, the absence of meaningful civil rights protections has combined with decades of repression and ongoing unrest in border regions to create the present catastrophe. Repatriation of Rohingya refugees will never be viable without a fundamental shift in the country’s allocation of political power. Myanmar has astounding diversity, with 135 officially recognized ethnic groups as well as others like the Rohingya who are not officially recognized as native to the country. But ethnic minorities simply do not enjoy parity with the Bamar. Members of both the military and civilian government are disproportionately Bamar, and minorities often face challenges gaining citizenship (which grants access to other entitlements such as higher education, employment and the ability to serve in public office). And while the world has focused on the Rohingya catastrophe due to its scale and scope, other minorities have also faced similar tactics and oppression for years. Repatriation of Rohingya refugees will never be viable without a fundamental shift in the country’s allocation of political power, as well as an expansion of rights and privileges for all. “Relations between the central government (both civilian and military) and ethnic politicians … are abysmal. Urgent damage control is called for,” said Khin Zaw Win, executive director of the Tampadipa Institute, a nonprofit in Myanmar which conducts policy advocacy on a range of issues including federalism, nation-building and communal issues. A realization that the Mrauk U killings and Rohingya disaster are both consequences of the same failure to value and protect human life and civil rights is a necessary first step. Unfortunately, animosity against the Rohingya prevents many from making this critical connection. Instead, “hate toward the Rohingya who are believed to ‘be terrorists [that] want to steal our land and convert everyone [to Islam]’ contributes to the growing support and legitimacy of the military. What is scary is that people do not seem to notice that these are all connected,” said Winnie Thaw, a Burmese expatriate who currently lives abroad. “We have been exposed to structurally violent policies, indoctrinated with unwholesome worldviews and ideologies, and socialized into oppressive and divisive social hierarchies,” added Htuu Lou Rae Den. Other “silent sympathizers” may be afraid to come out of the woodwork due to fear of social censure, or of military reprisal. “We are silenced … I have spoken about it in public places only to be rebuked by not only my own acquaintances but strangers. I have been called ‘anti-nationalist,’ ‘misinformed,’ ‘too young to understand anything,’ and ‘Western-influenced’ because of my views,” said Winnie Thaw. 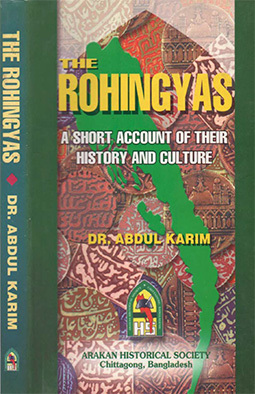 As a member of the Burmese diaspora myself, I hope more of us will find the decency and moral fortitude to question the Rohingya’s wholesale loss of freedom and dignity and examine how other minorities have faced similar abuses and disempowerment in Myanmar. I hope more Burmese will consider the dangerous consequences of imbuing the military not only with power (which it already has) but also legitimacy and support, to pursue the purported goal of excising the Rohingya boogeyman. And I hope dissent will grow and allies in the country will find more ways to push back. Ultimately, Myanmar cannot evolve into a healthy, tolerant democracy until it collectively grapples with — and takes meaningful steps to address — the ethnic inequities underlying its social and political order, and ensures civil rights for all. Khin Mai Aung has written about civil rights issues in publications such as The New York Times, San Francisco Chronicle and Salon, and was formerly a lawyer at the Asian American Legal Defense and Education Fund. The views contained in this article are solely her own. Australian actor Cate Blanchett says it is “bewildering” Myanmar’s leader Aung San Suu Kyi has not spoken out about the atrocities being committed against Rohingya Muslims in her country.